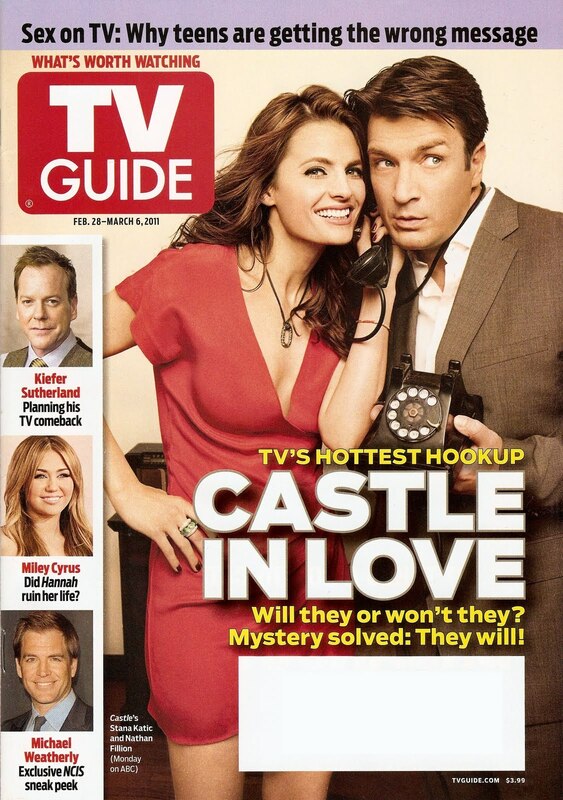 Stanathan - TV Guide <3. TV Guide Photoshoot! <3. HD Wallpaper and background images in the Nathan Fillion & Stana Katic club tagged: nathan fillion stana katic stanathan castle tv guide photo photoshoot scans. This Nathan Fillion & Stana Katic photo might contain anime, bande dessinée, manga, dessin animé, portrait, headshot, gros plan, and closeup.